perhapablog... and other ramblings: Whatcha gonna be...? 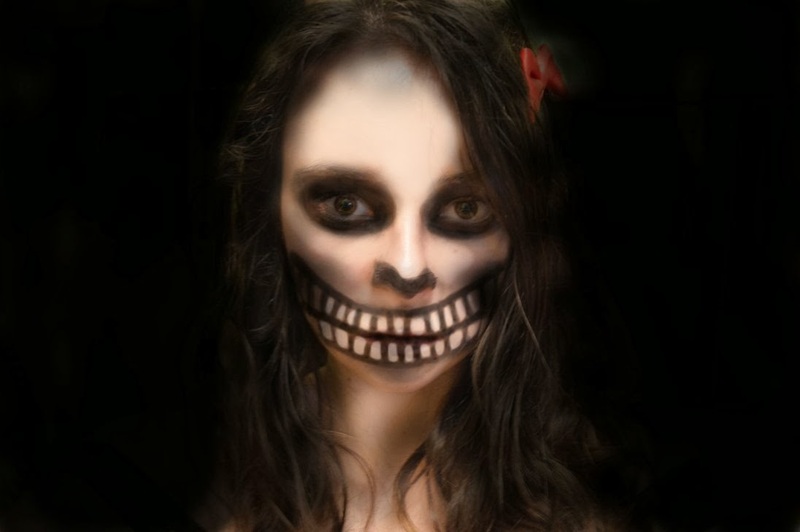 while here in the northeast, summer has granted us an extra week or so of balmy summer weather, it's time to start getting those costumes together and boning up on your make-up techniques. 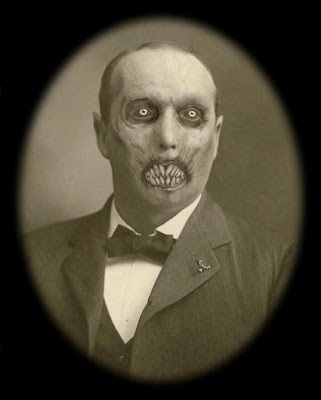 don't know how many of you are fans of syfy's frantic, somewhat addictive show FACE-OFF--i can't get enough!--but it's time to start putting all that cool stuff you learned to good use and design your own creepy, scary, insane make-ups and applications for the spookiest day of the year! as always, if you do something, we'd love to see it! send in pics of your halloween costumes--scary or otherwise--and we can share our halloween's together! here are a couple more make-up oriented pics to inspire and apply! peeled away skin is kinda big these days. now that you know the (cheap) trick with the glue and the toilet paper (see above) something like this should be easy. and here's something that's sorta easy to do...but with ghastly effect~! hope that gets your imaginations cooking! let us know what you're up to...and let's see what we can do! Man, I've got to start thinking about what to be this year. Perhaps a clock - please auto correct, don't touch that one - with wings, because time sure flies. Ha~! Didn't know where you were going with that, Brian! Good one! 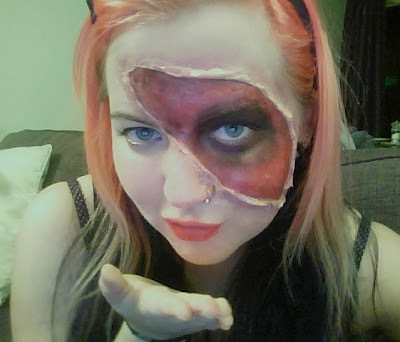 Karen did the tissue zombie makeup effect for the Asbury Park zombie walk 2 years ago, it works really good! Better than I though. We're only doing one Halloween 'party' this year and she's going as a chicken and I'm going as a farmer, follow that trail to the obvious conclusion hah!